There’s so much to choose from when we talk about engagement and wedding rings. Yet, somehow, there are only so many of those that we think are handsome AND can afford. Till now. Your hunting for the perfect ring days are over. Enter Tungsten World, an alternative genre of metal that’s nearly impossible to scratch and is crafted to your specifications. 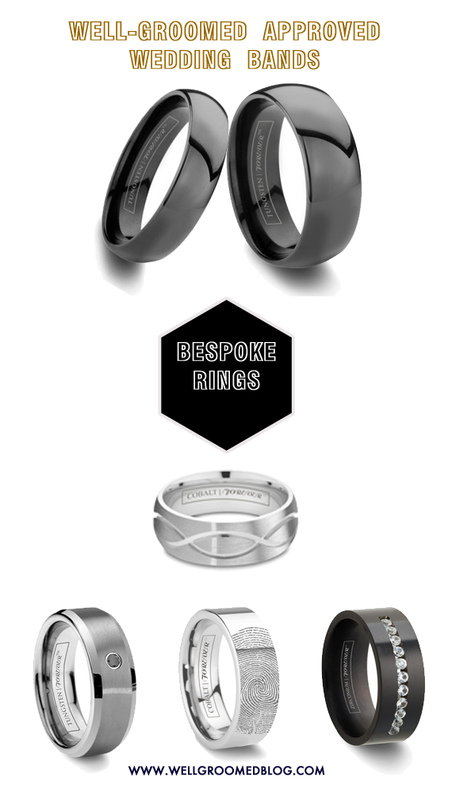 Yes, using the newly built engine at Tungsten World, you get to design a ring that suits your taste and your wallet, no matter how finicky you are. Laser engraving (with a generous “exchangeable offer”) set in either the vibrant modern polished or the brushed finish, served with inlay of your choice and top it with a stone (or not). Up to you, that is the point. 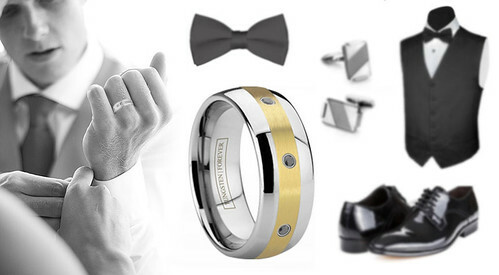 The straight forward designer feature is dedicated to find custom tungsten wedding bands for men, so you’re sure to find one you fancy – in a few easy steps. Just like you and your beau, your wedding ring is truly one of a kind. Because each of these metals broke into the wedding industry after originally being used in industrial and medical applications, they have an inherent durability, a heavy weight feeling, appeal-to-grooms aesthetics, and comfortable fit, so no concern about the “annoying edges”. 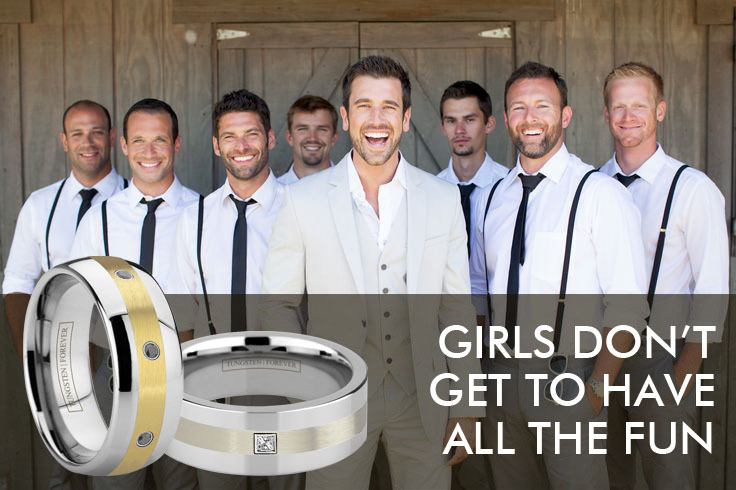 As they like to say, these rings have both form and functionality for guys. This post is kindly sponsored by Tungsten World.